12/22/2008 - Requirements of the HCS and the employer's ability to rely on a manufacturer's hazard determination. Title: 12/22/2008 - Requirements of the HCS and the employer's ability to rely on a manufacturer's hazard determination. This is in response to your correspondence dated April 22, 2008 to the Occupational Safety and Health Administration (OSHA). Your letter was forwarded to OSHA's Directorate of Enforcement Programs for response. You are requesting clarification of OSHA's Hazard Communication Standard (HCS), 29 CFR 1910.1200. You specifically ask about the requirements of the HCS as they relate to an employer's ability to rely on a manufacturer's hazard determination and the subsequent reporting of those hazards on the material safety data sheet (MSDS). Your scenario and related question are paraphrased below, followed by OSHA's response. Scenario: An employer is using a chemical product in its facility, and a material safety data sheet for that product is present. The employer performed air monitoring and the results revealed that use of the product generated a "toxic gas." 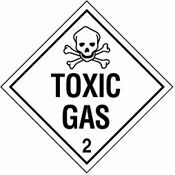 The physical and health hazards associated with employee exposure to the toxic gas are not included on the MSDS. Question: If an employer is using a product and discovers a health hazard during its use that is not discussed on the MSDS, can that employer ignore the existence of the unreported health hazard and proceed based solely on the hazard information presented on the MSDS (provided by the manufacturer of the product)? Response: The HCS requires a chemical manufacturer/importer or employer to conduct a hazard determination for each hazardous chemical they produce or import. The results of the hazard determination are then reported by the manufacturer on an MSDS for that product. The manufacturer must develop an MSDS that reflects all of the physical and health hazards associated with the chemical which may occur under normal conditions of use as well as those hazards that may exist during foreseeable emergencies. Under OSHA's HCS, an employer using the chemical (if that employer is different from the manufacturer who performed the hazard determination) is not responsible for making corrections to a deficient or inadequate MSDS. A manufacturer is only obligated to report on an MSDS those hazards associated with its chemical under normal conditions and those that may occur during a foreseeable emergency. If the product is being used in a manner not intended by the manufacturer, then the manufacturer would not be expected to have any knowledge about this "toxic gas" and would, therefore, not be required under the HCS to include such information on the MSDS. The HCS allows a downstream employer to rely on the results of the hazard determination performed by the manufacturer or importer which are reported on the MSDS for that chemical (or chemical product). In your scenario, an employer who uses a chemical performs air monitoring and discovers that his employees are exposed to a "toxic gas" whose hazards are not reported on the MSDS. Under these circumstances, the downstream employer may not ignore the newly discovered exposure hazards associated with use of the chemical product. An employer may contact the product manufacturer directly to notify them of the possibility of the presence of hazards associated with the use of their chemical that are not accurately reflected on the MSDS. A chemical manufacturer that becomes newly aware of significant information regarding the hazards of a chemical has a duty to update its MSDS (29 CFR 1910.1200(g)(5)). Additionally, OSHA has policies and procedures for the field staff to address MSDSs that are deemed to be deficient. For example, an employer may contact the closest OSHA enforcement office and bring the alleged deficiency to their attention. OSHA Instruction 02-00-038, "Inspection Procedures for the Hazard Communication Standard" outlines the procedures to be used by an OSHA office when they are made aware of an MSDS that is believed to be deficient. Additionally, if an employer has sufficient information about a potential health hazard for which no information is provided on the MSDS, it must provide employees with additional information and training regarding those new hazards. Based on the performance oriented nature of the HCS, if employers have this information, they must provide it to their employees, including information related to how employees can recognize exposures and measures to protect themselves against the workplace hazards. 29 CFR 1910.1200(h). Lastly, OSHA's standard for General Requirements for Personal Protective Equipment (PPE), 29 CFR 1910.132(d)(1), requires employers to, "...assess the workplace to determine if hazards are present, or are likely to be present, which necessitate the use of personal protective equipment (PPE)..." If the employer's hazard determination results in findings that PPE would protect employees from hazards present in the workplace, then this equipment must be provided by the employer. Don't have a formal safety program? 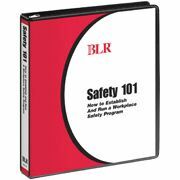 This handbook/CD combination can help you establish and run a workplace safety program. Thank you for your interest in occupational safety and health. We hope you find this information helpful. OSHA requirements are set by statute, standards, and regulations. Our interpretation letters explain these requirements and how they apply to particular circumstances, but they cannot create additional employer obligations. This letter constitutes OSHA's interpretation of the requirements discussed. Note that our enforcement guidance may be affected by changes to OSHA rules. Also, from time to time we update our guidance in response to new information. To keep apprised of such developments, you can consult the website.